The athleisure trend has grown more popular thanks to a certain group of style influencers that have graced the cover of multiple magazines. Before we get into the nitty-gritty of styling these, let’s iron out what capris are. By fashion’s definition, a capri ends mid-calf or at the bottom of your calf, two to three inches above your ankle. Rock a plaid. Plaids are making a comeback and have been season after season. Pair your leggings with a loose fitting, longer v-neck or scoop neck top, your favorite canvas sneakers and a plaid shirt layered over with the cuffs rolled-up and left unbuttoned. Try this look with your denim jacket—just swap out the plaid for your denim. Try Long and Layered. As the weather cools, pair your leggings with black ankle boots and opt for long layers on top like a long and loose open and draping cardigan over a long tee. Go Monochromatic. Black is always on trend so try a black, monochromatic look. You can add depth and dimension to this look by going with different materials. 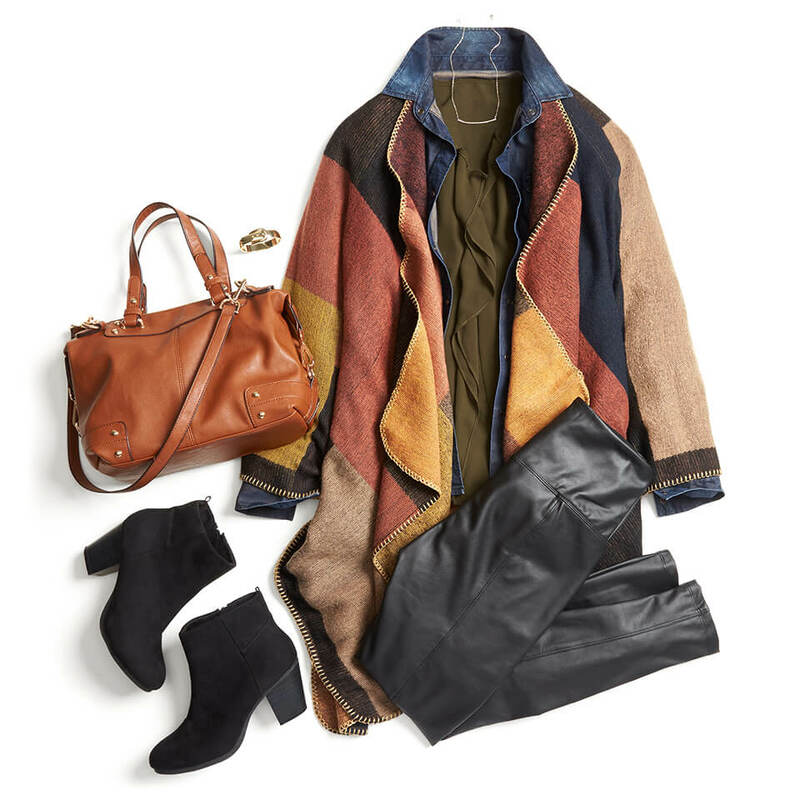 Pair your leggings with a silky blouse and an edgy leather jacket as your top layer. There are so many ways to wear leggings, just go with your gut—the more comfortable you feel the more confident and stylish you are! How are you wearing your leggings outside of the gym? Tell us in the comments!